James and Jessie West Mansion – SAVED! Lumber, oil, and ranching tycoon James Marion West and his wife, Jessie Dudley, hired eminent Houston architect Joseph Finger to design this 17,000-square-foot house as headquarters for their 30,000-acre ranch. A Harris County landmark since its completion in 1930, the West Mansion is an excellent example of the Italian renaissance revival style, which was rarely used in Texas at the time. Finger designed some of Houston’s finest commercial and institutional buildings between 1920 and 1940, including Houston City Hall and Houston Municipal Airport. Easily one of the largest and most well crafted houses constructed in Texas during the late 1920s and 1930s, the West Mansion retains most of its historical paneling, limestone and cast concrete detailing. It was named a Texas Historic Landmark in 1993 and placed on the National Register of Historic Places in 1994. 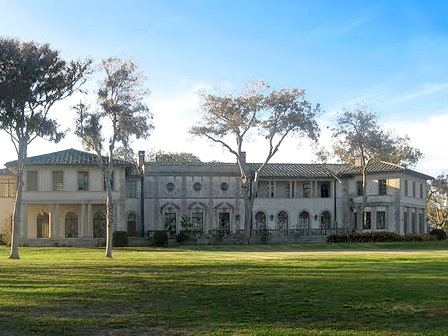 The West Mansion is endangered because there are few, if any, local ordinances in the City of Pasadena to protect it. The development company that owns the property has announced that it plans to subdivide the site to be sold for development.